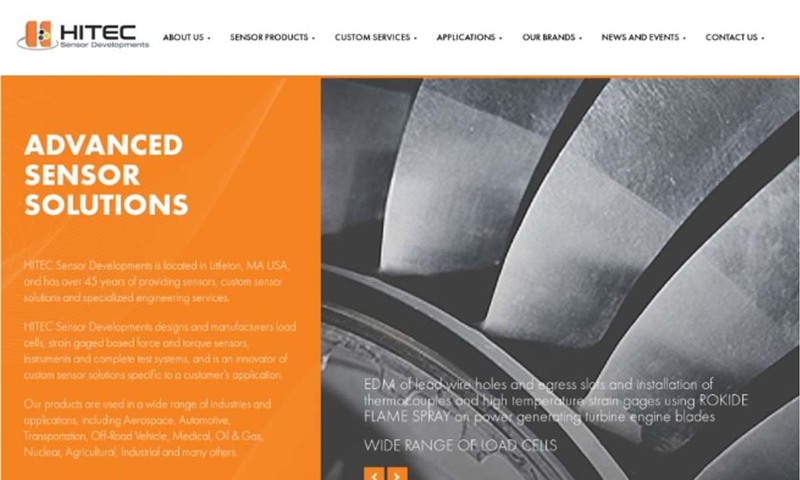 A reliable source for Calibrating Services information and a resource for accessing leading Calibrating Services and suppliers. Calibration services, sometimes called instrument calibration services, are an essential part of the upkeep of any measurement device or instrument. Calibration services’ purposes are to take a measurement of the precise output of a device, usually in terms of its power, and compare this reading with the manufacturer’s standards to find out if the device is running both safely and efficiently. A calibration device uses electrical signals as a means of calibrating instruments or other devices. After a technician discovers the exact margin of error, they can adjust the calibrator to the manufacturer’s specifications for improved output. Calibration Services Calibration services, sometimes called instrument calibration services, are an essential part of the upkeep of any measurement device or instrument. Calibration services’ purposes are to take a measurement of the precise output of a device, usually in terms of its power, and compare this reading with the manufacturer’s standards to find out if the device is running both safely and efficiently. Morehouse is the only commercial ISO guide 17025 accredited force laboratory that offers deadweight calibrations up to 120,000 LBF with deadweights certified and calibrated by The United States "National Institute of Standards and Technology (N.I.S.T.)." ASTM E74 and other calibrations from .1l lbf to 2,250,000 lbf with ISO/IEC 17025 accreditation. 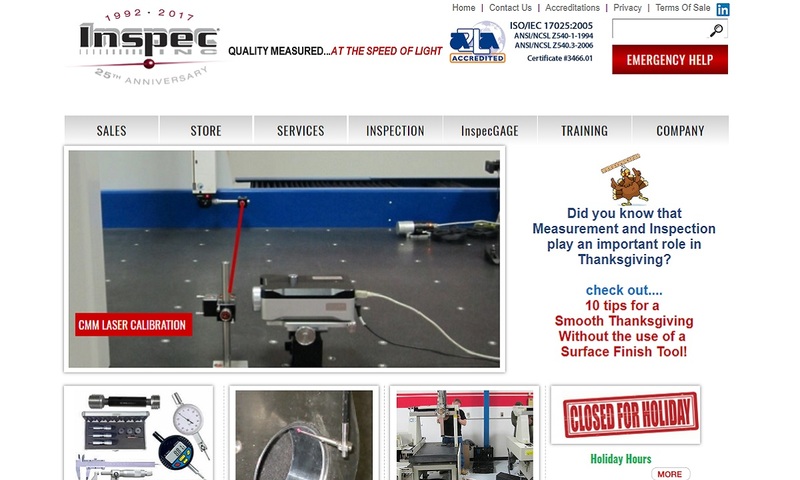 Since 1952, our specialty has been the calibration and repair of electronic precision test and measurement equipment. ISO/IEC 17025:2005 accredited, we offer electrical heating elements for cartridge heaters, band heaters, air heaters, and more. HITEC's calibration services are the result of 45 years of research and engineering. We take the time to benefit our customers in a variety of ways. It is our goal to provide our customers with the tools they need to succeed. 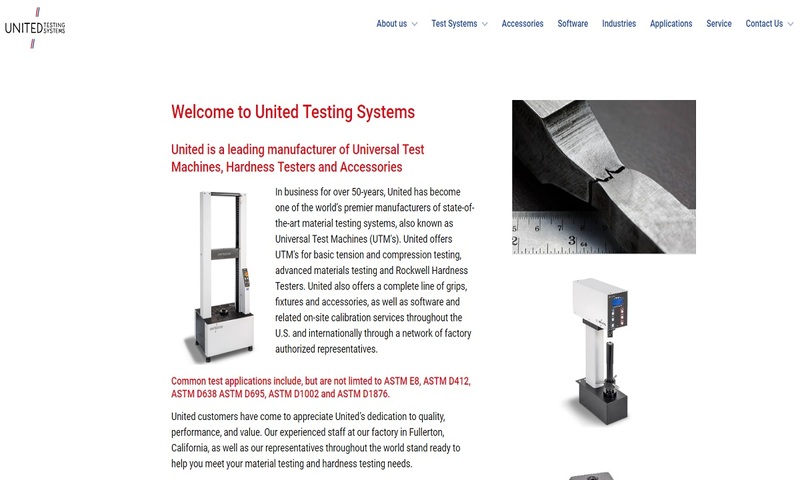 Total customer satisfaction is our promise here at United Testing Systems. If you’re looking for fast and accurate calibration services, you’ve come to the right place. If you are looking for the best calibration services in the industry, you’ve come to the right place! We have 30 years of experience in the industry, and many of our original products are still in working order to this day. Since our founding in 1911, Exelon PowerLabs has been Exelon’s main laboratory for calibration and testing, and has helped ensure the stability and safety of power grids throughout the country. Customers request calibration services in order to make sure that their standardized instruments are giving correct readings, and when applicable, are still able to properly detect anomalies, flues, heat, defts, wear patterns, etc. In industrial and lab settings, any device that depends on pressure, temperature, or speed should be calibrated to ensure efficiency. 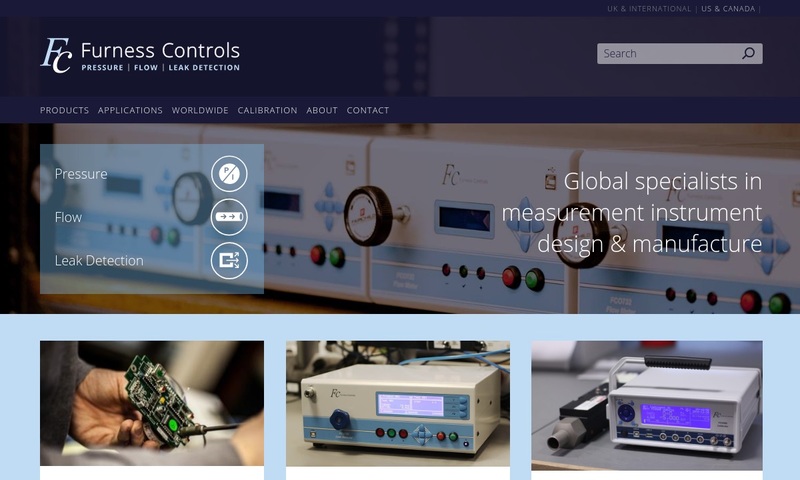 Examples of the many instruments that experts can calibrate include load cells, lab scales, data acquisition sensors, temperature sensors, laboratory chemical sensors, strain gauges, automotive sensors (light sensors, temperature sensors, mass airflow sensors, wheel speed sensors, fuel level sensors, airbag sensors, etc. ), proximity sensors, optical gauges (fiber optic sensors, LED sensors, photon counters scintillators, photo switches, etc. ), temperature gauges (thermometers, calorimeters, thermocouples, bimetal strips, pyrometers, flame detectors, etc. ), navigational instruments, Geiger counters, and more. Calibration Services – Strainsense Enterprises, Inc. The history of calibration services begins with the standardization of weights and measurements of length and distance. Before standardization, measurements varied widely from place to place, and often changed from person to person. For example, one of the first measures of distance in the world was the cubit. People measured cubits as the distance from a person’s shoulder to the tip of their nose. Since no two people are the exact same size, using this system, no two measurements could be exact. Outrageously, while king between 1100 and 1135 AD, Henry of England made up a new unit of measurement–the yard–and said that it equaled the distance between his outstretched thumb and the tip of his nose. Finally, in the late 1100s, people began standardizing measurements. First, in 1196, English lawmakers established the Assize of Measures, a code of length measurements. Then, in 1215, the writers of the Magna Carta included in that document standard wine and beer measurements. During the Renaissance and Industrial Revolution, inventors created all sorts of measurement devices, such as Torricelli’s mercury barometer in 1643. The creation of these devices eventually gave rise for the need to have a way to make sure they were accurate. During the Civil War, people first began using the word calibrate in reference to the caliber of a gun, or the measurements of its inside barrel, and bullet outside diameters. As a result, gun manufacturers began referring to calibration as the process of measuring gun barrels and bullets to make sure they were well-matched. Eventually, this term bled over into other accuracy and measurement applications. Throughout the 20th century, calibration services proved themselves essential to a number of industries, especially the oil and gas industry.  In the 1990s, concerned parties formed two of the most powerful and important standards organizations, the International Electrotechnical Commission (IEC) and the International Organization for Standardization (ISO). Those who carry out calibration services rely heavily on the literature put out by IEC and ISO to keep them informed on up-to-date standards of alignment and metrology, or the science of measurement. Today, in addition to using IEC and ISO standards, the United States regularly updates its own national regulations for performance and calibration. These regulations are enforced by agencies like the National Institute of Standards and Technology (NIST). This helps to create standards that are applicable for safety and efficiency across the country. All quality calibration service providers can show evidence that they and their equipment are accredited by organizations like NIST. We highly recommend that you only work with accredited suppliers. Electronic technology has served to dramatically improve the ability of calibration services. Most sensors and transducers can now provide more accurate measurements than ever before. These tools are also more versatile than they were in the past, and some are even capable of measuring different types of instruments in multiple locations for comparison. This high degree of precision was never possible when workers used manual calibration methods. Advances in electronic technology have made it possible to gauge exact numbers on high tech equipment to maintain high quality performance. Calibration service suppliers can check your instruments in their facilities, or they can send a field technician out to you upon request. Some suppliers, such as Fluke Calibration and Fluke Calibration’s other brands, will allow you to rent test equipment. Calibration servicers calibrate instruments and tools based on standardized measurements established by metrology. Using their instruments, technicians will measure and calibrate your instruments per your needs, such as unit of measurement type and required measurement accuracy per standards and regulations. The procedure that technicians follow during the calibration process can be summed up by the following three step descriptions: 1) definition of unit to be measured, 2) realization of measurement, and 3) traceability to a quantitative rating. Examples of units that technicians often define and measure include units of distance (anywhere from micrometers to light years), volume, mass, time, strength, flow, longitude, distance and temperature. Once technicians define the unit of measurement, they transfer them to a quantifiable scale, where they create ratings. They then measure the tool or instruments level of output or allowance of this unit. After measuring, technicians apply a rating to the results. They then compare it to a baseline and record their results. By recording their results, they create traceability. Once technicians have taken these steps, they can finally adjust the measured instrument until it matches the accepted measurement or reads accurately. Something that calibration service providers also do is occasionally calibrate and test their own test equipment. They do so on a schedule that they call the calibration interval. By doing so, they maintain their integrity and the quality of their services. To carry out the many different types of calibration out there, calibration service providers use a wide variety of calibration tools and machines. These include those that are handheld, fixed, and portable. Handheld calibration devices are usually small and manually operated. Fixed calibration instruments remain stationary. They are used in factories and other workplaces during production as needed. Portable devices may be large and mounted on wheels so that they can be moved around a facility as needed. Traceable calibration is a type of calibration that involves comparing established traceable standards to a series of an instrument’s measurements. Traceable calibration allows technicians to most accurately account for an instrument’s quirks, such as precision and bias. It also helps them pick up on fluke readings. Pipette calibration is used in medical and laboratory settings. A pipette dispenses measured quantities of liquids for lab or medical use. Accuracy is critical in these environments, so the pipette must be calibrated correctly. Torque wrench calibration is commonly used on the nuts and bolts of more basic applications. Torque, the product of force and distance, can be calibrated on a torque wrench for improved accuracy. This is important for the threading of nuts and bolts so that over or under-tightening does not occur. 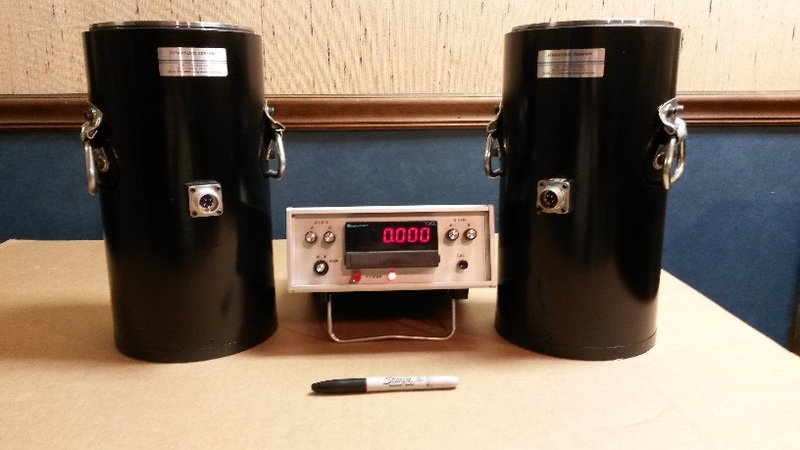 Load cell calibration helps to yield accurate weight measurements in scales. Load cell calibrators are often handheld. To use them, technicians plug them into a transducer with a ready load cell. The calibrator, which has been pre-standardized, takes a weight measurement of that which the load cell is also measuring. The results read out on the device, separate from the results on the load cell. Technicians then adjust the load cell until the calibrator and transducer produce the same reading. Scale calibration is the process of calibrating weighing scales, such as laboratory scales or industrial scales. Often, this involves load cell calibration, since so many scales use load cells. Multimeter calibration is the calibration of multimeter equipment. Multimeters are devices that measure electric voltage, current, and (usually) resistance. Hardness tests measure the hardness of a given material. Hardness tests provide valuable information like the level of resistance to deformation. Calibration laboratories are laboratories where professionals provide testing to smaller equipment and instruments. Calibration labs often work in conjunction with on-site calibration services. One of the most common tools that technicians use in a calibration laboratory is the pipette. Pressure calibration is a calibration service that operators perform on instruments that measure control or pressure. Temperature calibration is specifically for devices that measure or control temperatures, like detectors or thermostats. Speedometer calibration is a service that helps a speedometer accurately measure speed in a vehicle or some other piece of machinery. It keeps the reading precise and properly accounting for distance. In automotive applications, this precision keeps drivers safe by giving them the information that they need to drive within the speed limit. Calibration services offer customers a number of benefits. First, regular calibration is the best and only sustainable method for maintaining instrument accuracy. In fact, in many industries, leaders not only recommend regular calibration, but require it to meet safety and efficiency standards. In addition, by maintaining instrument accuracy, calibration services help hold up fair trade and honest business practices around the world. By eliminating a large portion of the margin of error for important measurements, like those related to pollutants and allergens, calibration services also help keep society safe and healthy. On top of ensuring instrument accuracy, calibration services help boost the performance and efficiency of machines that wear down over time. Likewise, they keep the maintenance and repair costs of these machines low. This is because, when measuring devices are calibrated correctly, the machines and devices that they monitor are less likely to malfunction and less likely to need repair. Note that, although calibration devices are powerful, they are not perfect. To be truly accurate, technicians must be aware of every factor that affects the calibration of an instrument. The possibility of error is always present, but electronic calibration methods have greatly reduced the margin of error. 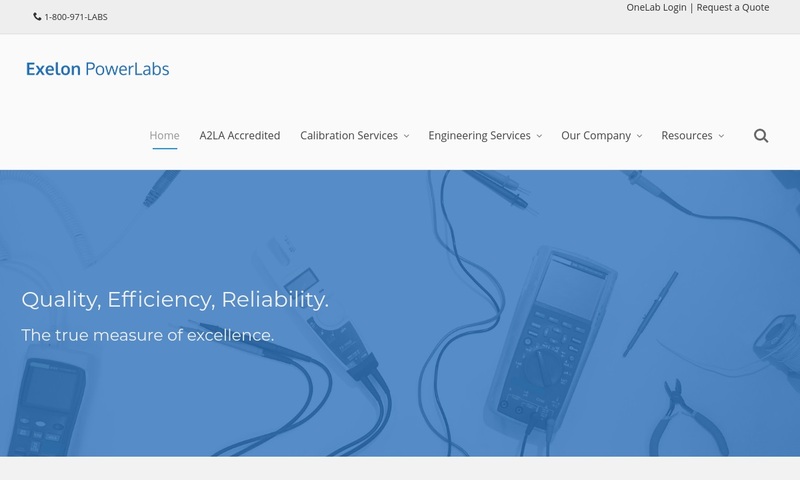 To make sure that your devices continue to function well and measure accurately for years to come, you need to connect with a respected calibration service provider. You can find such a provider by checking out those calibration service companies we have listed on this page. Each of those we have listed is reliable, experienced, and properly accredited. To find the right one for you, start by writing out a list of your requirements. Make sure to include not only the details of your instrument or machine, but also requirements like your budget and whether you can deliver your instrument to the service provider, or you need the service provider to come to you (on-site calibration). Once you have jotted down your requirements, start browsing the calibration companies we have listed on this page. Pick out three or four service providers in which you are most interested, then reach out to their respective customer service lines. Discuss your application at length which each of them. Make sure to write down notes or request a written quote. Once you have done this, compare and contrast your conversations. Determine which service provider will best serve you and go with them. Good luck!